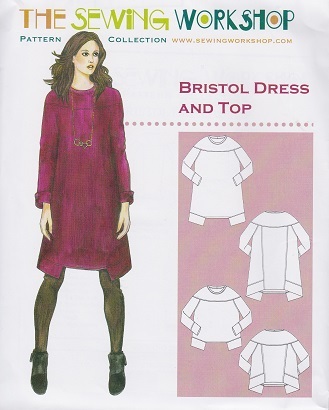 Bell-shape, knee-length dress has front and back yoke and long sleeves with cuff, front wraps to back and stitched to inverted V-shape back panel. Wide bottom bands. Top is below-waist version of dress.